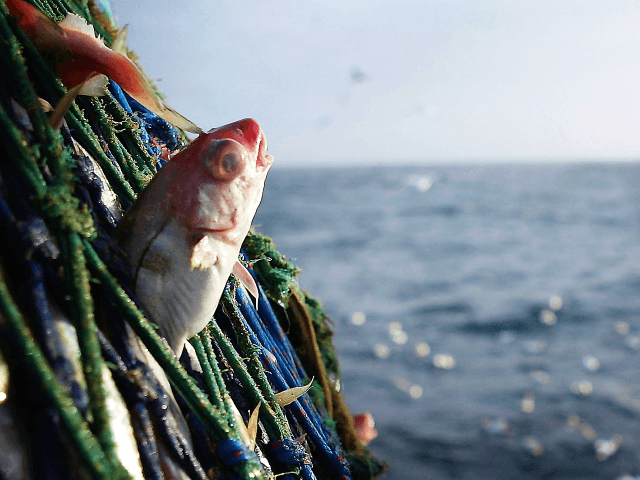 The Tory government’s apparent betrayal of the fishing industry with the announcement that their share of Britain’s fish will not change during the so-called ‘transition’ period after Brexit could undo its negotiations entirely. A minority administration which relies on the Brexit-supporting Democratic Unionist Party (DUP) in Northern Ireland to pass legislation, the May administration faces the prospect of a general rebellion by Brexiteers and its 13 Scottish MPs over the emotive issue. Around 60 per cent of the Scottish fishing fleet has been wiped out as a result of Britain’s entry into the European Union — then, the European Economic Community — in the 1970s, while other EU countries have received grants to build more vessels to better plunder British waters. Indeed, EU-flagged boats drag up an enormous 760,000 tonnes of British fish — far more than is allotted to British boats — while British-flagged boats’ combined share of fisheries in every other EU member-state adds up to a meagre 90,000 tonnes of fish. Bizarrely, Brexit secretary David Davis claimed the fact that “the United Kingdom’s share of the total catch cannot be changed” during the transition means the government is “protecting the interests of the United Kingdom fishing community” — an assertion that is being strenuously and bitterly contested by fishermen themselves. Since 2001 60% of our fleets been scrapped due to failed EU policy. The govt intends capitulating to keeping the CFP after Brexit- our fleet will be culled again. John Lamont, MP for Berwickshire, Roxburgh, and Selkirk, has already vowed to vote against any Brexit deal with does not include full control over fish stocks and access to them — and, significantly, Scottish Conservatives leader Ruth Davidson MSP has promised he will have her “full support” in doing so. A widely-held feeling that the industry was consciously betrayed by the late Edward ‘Ted’ Heath when he took Britain into the EEC was seemingly confirmed when official documents were released decades later, in which officials suggested that “in the wider context [the fishermen] must be regarded as expendable” — ultimately resulting in at least 100,000 job losses at sea and onshore. It is possible that the Tories will suffer the same lasting reputational damage in Britain’s coastal communities as they did in the North-East under Prime Minister John Major and Deputy Prime Minister Michael Heseltine in the 1990s, when they shut the Nottingham mines which had continued to operate through the Thatcher-era miners’ strike, despite earlier assurances this would not happen.